OHIO VALLEY — A Gallipolis man was captured and arrested after a pursuit over state lines. Gallia County Sheriff Matt Champlin states that on Dec. 4, deputies from the Gallia County Sheriff’s Office received a report from a resident on Zuspan Hollow Road that a white Chevrolet Pickup Truck had been stolen. A short time later, dispatchers from the Mason County West Virginia 911 Center received a report from a Glenwood gas station in West Virginia that described a vehicle fitting the same description as the stolen truck that reportedly drove off without paying for fuel. An alert from a Mason County Sheriff’s Deputy spotted the truck a short time later near the Silver Bridge and attempted to stop the driver. The suspect, Adam D. Boggess, 42, of Gallipolis, reportedly fled from the deputy and led him on a high speed chase across the state line into Ohio. 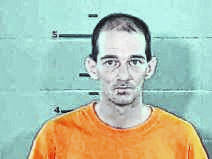 Boggess led officers across U.S. 35 to Ohio 160 where he temporarily disabled his vehicle in a Jackson Pike parking lot. Boggess then continued to flee from officers toward the City of Gallipolis, where the stolen vehicle was disabled with a road strip device by officers from the Gallipolis Police Department. Boggess reportedly abandoned the vehicle at the First Baptist Church parking lot and was able to elude arrest by fleeing from officers on foot. On Wednesday, officers from the Gallipolis Police Department took a report of a stolen white truck from a business on Eastern Avenue in Gallipolis. At approximately 3:30 p.m., another deputy from Gallia County spotted the stolen vehicle traveling north on Ohio 7, north of the Gallipolis City limits. When the deputy attempted to stop the vehicle, Boggess reportedly led the officer on a chase that traveled through Kanauga, Cheshire and ended with the vehicle becoming disabled on a logging path off of Ohio 554, where Boggess was taken into custody. Boggess is being held at the Gallia County Jail on a warrant for a probation violation for a prior theft offense in Gallia County and a warrant for failure to appear on a larceny offense in Athens County. Gallia County Prosecutor Jason Holdren’s office is reviewing additional charges regarding the theft of the motor vehicles and fleeing and eluding a police officer. Boggess will potentially face additional criminal charges from West Virginia. “This is another outstanding example of how our tri-state law enforcement agencies are working together across our borders to stop crime. My thanks and appreciation to officers from the Mason County Sheriff’s Department, Gallipolis Police Department and the Ohio State Highway Patrol for their efforts in bringing Mr. Boggess to justice,” said Champlin.